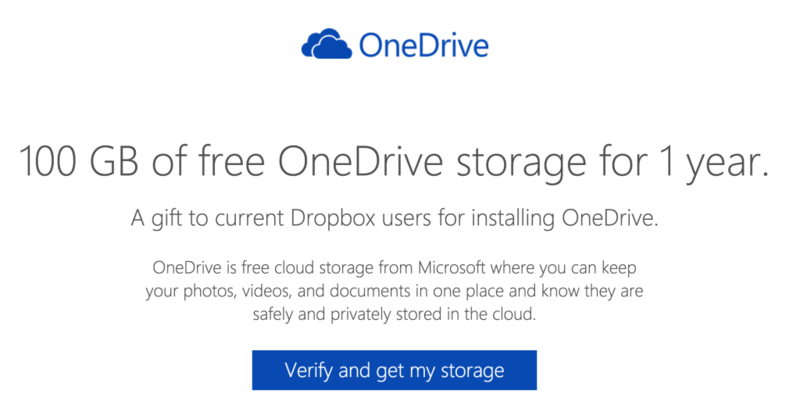 Microsoft OneDrive – 200GB Free! 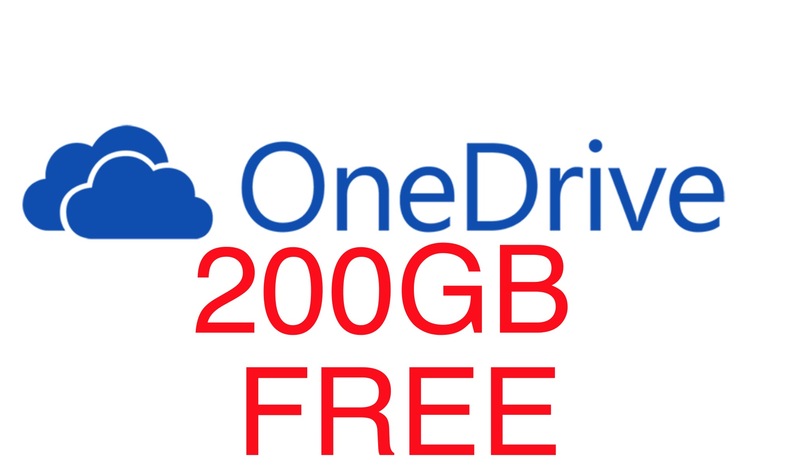 You are at:Home»BUZZ»Microsoft OneDrive – 200GB Free! Microsoft has been on a crusade recently to get the everyone signed up with OneDrive – and to be honest, with Google Drive’s 15GB limitation (will record tutorial on mass deleting emails). I have taken the bait as well. 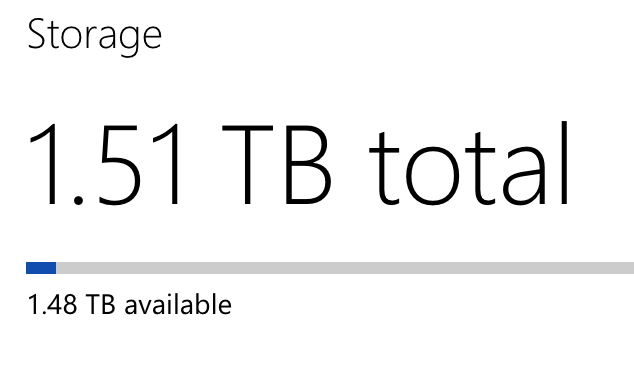 I currently now have over 1.5TB of online storage – thanks Microsoft! 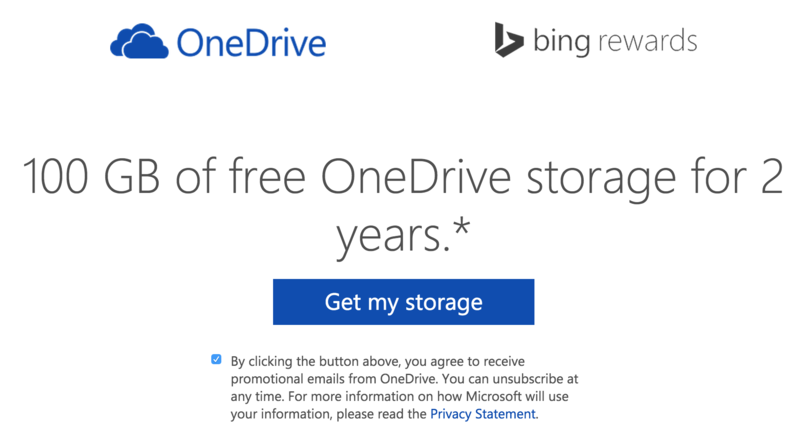 My total OneDrive storage = for free. 1st 100GB (for 1 year): DropBox required – if you currently don’t have a DropBox account – sign up at DropBox.com. Once you’re ready head to: OneDrive (you have to use this promotional link). From there you will have to click, “verify and get my storage”, log into your DropBox and get your 100GB for free! 2nd 100GB (for 2 years): Bing Rewards required. To sign up for Bing Rewards: Click here! Note: this is for U.S. members only. Signing up allows you to earn points for searching on Bing. Head to Bing Rewards, and click on 100GB free. It will take you to another page (see above), all you have to do is sign in and say yes! I have officially moved from Google Drive to OneDrive now that I have over 1.5TB of online storage and will be backing up everything soon! Don’t forget to enter our Chromecast International Giveaway!